I’ve been a fan of Overload movements for a long time. I’ve always referred to it as building the infrastructure. Think of any successful endeavor and you start with having a solid foundation. This applies to athletic endeavors, planning projects, or learning, really, anything. In JiuJitsu and strength training, once you begin to put the demands of hard training on your body, you need to invest time in building up your systems to handle the rigorous onslaught of training that you will perform. If you are not familiar with them, let me introduce you to Overload Lifts. Overloading your systems is a proposition in training your human potential. Getting under, or lifting a supra-maximal load will get at the core of your grit. You have to get into a certain mentality to WANT to lift the weight and feel the effect on your body. What effect does it have? It feels………………uncomfortable yet energizing. You get a boost to your endocrine system, skeletal system, muscular system, and your cardiovascular system. It’s also another way to get your mind razor sharp to focus on a feat, control your systems to blast off and cool down within minutes. This mind/body connection is crucial when training for life on the mats. Physically, this has a dramatic training effect on the body. It also makes your other training easier to conduct for a variety of reasons, such as building the integrity of your systems to withstand more rigorous training sessions. Building the intra-abdominal pressure needed to perform other athletic feats is also crucial to performance. Hoisting the opposition off of their feet is much easier after you’ve been performing overload lifts. All weights feel lighter as a side effect. Do not read this article and think this is the ONLY way to train. This is one tool in your training arsenal to get you closer to the goals of your choice. 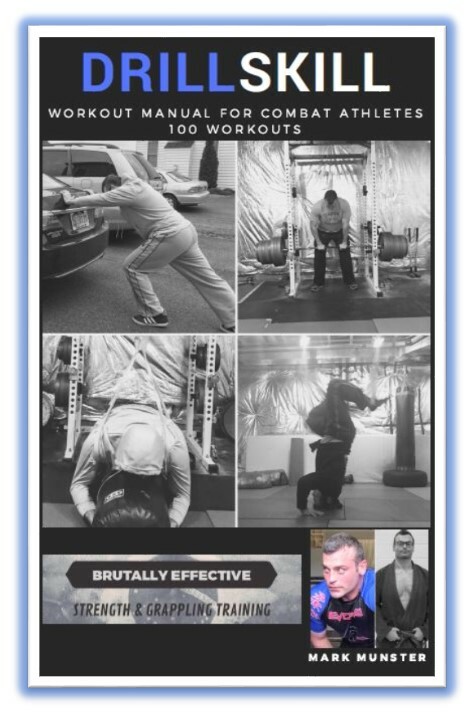 Here is a brief video I shot demonstrating several of my favorite overload movements or “infrastructure” lifts. They work your body as a unit. They develop your body’s ability to generate force rapidly. Generating force is crucial for combat sports. They contract muscles VERY hard, more so than other movements. Motor-unit recruitment is critical to being fast and strong. They build character. You can’t do these half-assed and get away with it. You’ll get hurt if you try. Include them in your program once a week to start and you’ll notice the carry over performance to your other strength training sessions and the mat very soon.